Mount St. Helens is one cold-hearted volcano. Rather than sit atop a boiling chamber of magma, the mountain rests on a cold stone slab, based on findings published today in Nature Communications. The research suggests that the volcano steals magma from a source located far from its peak. Magma began seeping into Mount St. Helens months before its lethal eruption in southern Washington state on May 18, 1980. Geologists first detected small earthquakes in the area by mid-March. Soon after, as magma filled high parts of the mountain, steam burst through the volcano’s icy dome, and a bulge formed on the north side of the summit. Pressure from the pent-up molten rock ultimately exploded, unleashing a stream of landslides and 520 million tons of ash. Yet three decades later, it’s unclear where this magma originated. Mount St. Helens is one of several dozen Cascade volcanoes, spread across the Pacific Northwest and northern California. The majority sit on a continental arc, a volcano-birthing corridor created by the meetup of two tectonic plates. 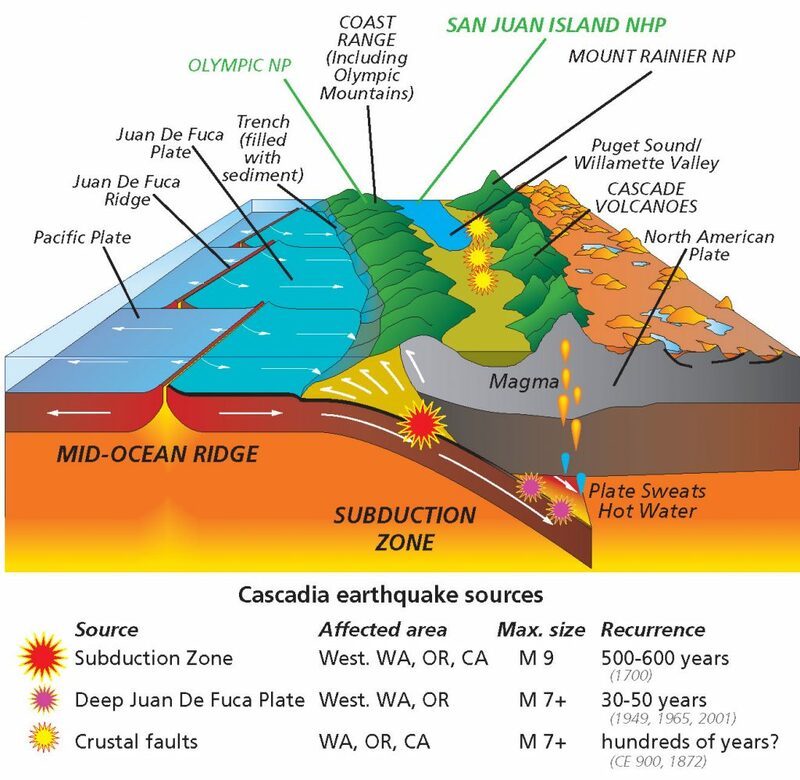 In Mount St. Helens’ case, an oceanic plate called Juan de Fuca slips under the North American plate, creating the Cascadia subduction zone. A continental arc brews adjacent to the subduction zone, where high pressures and hot temperatures force molten rock to the surface. The result is a chain of volcanoes. As the oceanic crust of the Juan de Fuca plate slips underneath the North American plate, it can create areas above the subduction zone (purple stars) where rocks melt and mix with ocean water. This magma is more buoyant than usual, and thus rises through the crust, creating volcanoes. This volatile merger point between these tectonic plates is known as a continental arc. Photo by NPS/R. J. Lillie. 2005. Parks and Plates. But Mount St. Helens is strange, because its volatile peak sits 30 miles west of the continental arc running through Cascadia. 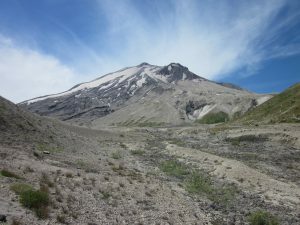 So in 2014, geologists at six institutions launched iMUSH, a $3 million project geared toward imaging the ground underneath Mount St. Helens. Part of the project involved setting off 23 explosions around the volcano in the summer of 2014. Each blast consisted of 50 pounds of explosives and caused 2.0 magnitude tremors to course through the ground. The scientists measured these seismic waves at nearly 1,000 stations spread around Mount St. Helens. Like an ultrasound, the seismic readings paint a high-resolution picture as the waves reflect off structures or rocks at different temperatures. The study’s measurement suggest the ground underneath Mount St. Helen is a cold mantle wedge, a geologic structure with a bit of a misnomer. The Cascadia volcanic arc produces magma at temperatures above 1,470 degrees Fahrenheit. But the temperature of this Mount St. Helens’ underlying wedge is under 1,300 degrees Fahrenheit — too cold to produce molten rock. The cooler temperatures are caused by ocean water pouring into the Earth at the subduction zone west of Mount St. Helens and reacting with minerals in the mantle to form cold rocks called serpentine crystals. So where does Mount St. Helens get its magma? Hard to say. Hansen said Mount St. Helens may siphon molten rock from Mount Adams, a volcano located squarely on the continental arc. But this suggestion is complicated by the observation that volcanic rocks from the two mountains have different chemical makeups. 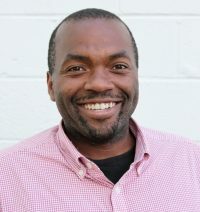 Hansen and the other members of the iMUSH team plan to conduct further mapping studies to pinpoint where from Mount St. Helens drinks its milkshake.